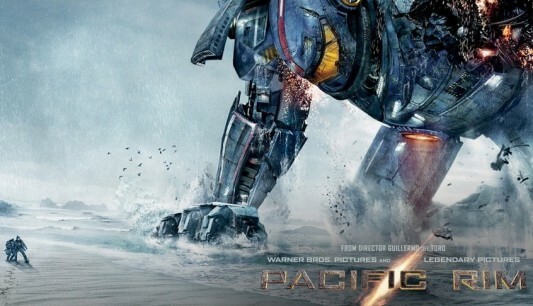 Can’t get your eyeballs on enough new trailers for Pacific Rim, the juggernaut of a movie from director Guillermo del Toro (The Devil’s Backbone, Pan’s Labyrinth, Hellboy), in which unfathomably massive monsters fight gigantic human-piloted robots, that makes most blockbusters look like indie flicks? Neither can we! So here’s another new trailer for the movie to check out, this one titled “At the Edge.” it shows a lot of the unbelievable scale you can expect from the movie, but instead of being set to an intense musical score, there’s mostly just some light breathing and a speech from star Idris Elba. Click on over to the other side to check out the new Pacific Rim trailer now.